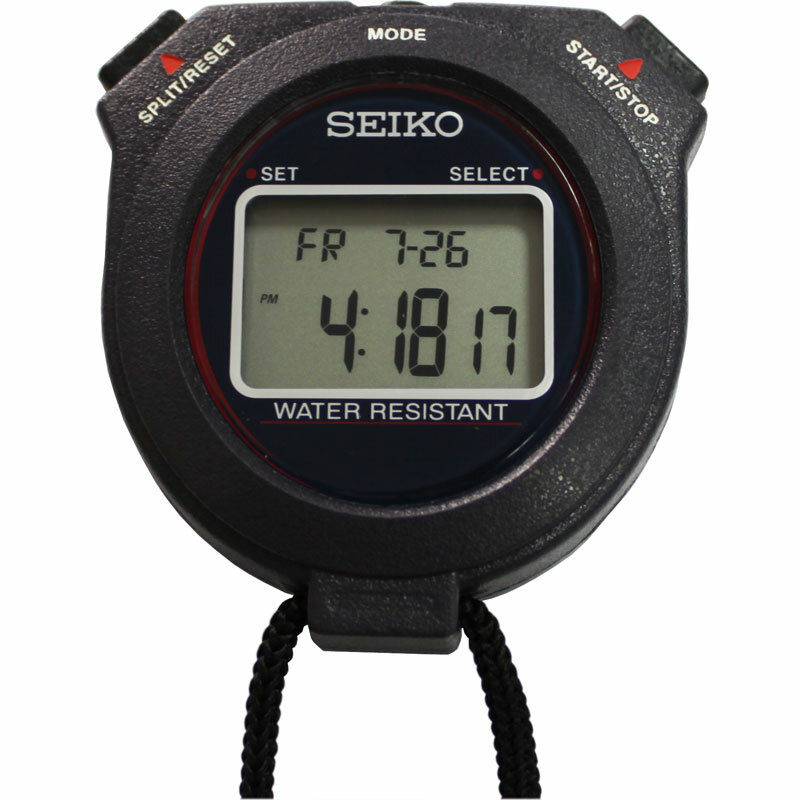 One of the biggest brand names in precision timing, the Seiko W073 Stopwatch features a dual display with 10 lap/split memory. Silent timing mode, time/date, alarm and water resistant. An affordable, solid stop watch that has excellent features for my purposes. The time splits cumulative time function stores up to 10 split times so that you can look back at those times if you need to check your timing. I also like the fact that after pressing split time the cumulative time is displayed again after a few seconds which means that you are not tempted to press the stop/start and lose your cumulative times. I would love to find a stop watch with a lock on the stop/start button at an affordable price but this is the next best thing. Excellent time piece, very accurate, very clear and easy to use. Perfect for track marshalling. I would recommend this stopwatch. Bought this watch to pair with one I've had for 2 years. Simple to operate, easy to read and not complicated. I does everything I need, lap splits, total time with a reviewable mode. I use this stopwatch for mystery shopping so I needed a silent stopwatch that will record and recall multiple times and this stopwatch fits the bill perfectly. It comes with instructions and although it's quite pricey it's worth the money to get what you need.